Bono said it best: I still haven’t found what I’m looking for. The perfect work bag that holds all my essentials, has many organizational features, will hold up to spilled lunches and looks good in the process. Luggage. Always luggage. Especially a lightweight carryon bag and weekenders. A perfect white V-neck tee. A homebrew coffee system that rivals anything I’d get at a coffee shop. Looking back, I saw that I first posted about my search for a perfect cup of coffee at home over three years ago. When I pressed him, he said that if he had to buy something, he would invest in a commercial grade bean grinder. Estimated tab: $1500. Yikes. So I stuck with my $40 Black and Decker machine that I purchased on sale at Target for $29.99. Until Spinn came on the scene. Ads for the not-yet-released Spinn coffee system started showing up on my Facebook feed last fall. 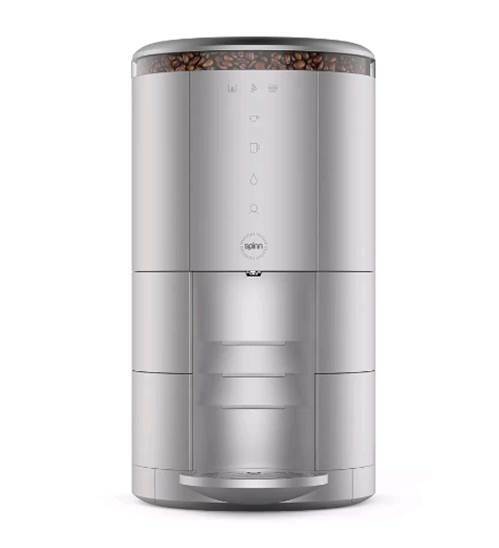 Spinn promises a lot: one machine to make everything from espresso to drip coffee, plus wi-fi integration and even an app that automatically orders beans from local roasters when your supply runs low. Their website fueled the hype: Spinn machines were available for exclusive pre-order and for an introductory price that was 40% off future retail. Well, the Spinn folks understand my psychology well, because one Friday night after a glass (or three) of wine, I placed my pre-order for a Spinn Plus machine. To be fair, the Spinn team said that my order would not be shipped until mid-2017. I was in the first production wave, so I hoped that things would go ahead of schedule – or at least on time – and that I would be sipping my wi-fi espresso now as I type. My current Black and Decker machine could limp along until then. Fast forward to this week: I received a long email that was signed as being from the head of Spinn, outlining a lot of gratuitous “wins” in their design and production process, essentially to provide window dressing to the fact that Spinn still doesn’t have any machines produced, and that “mid-2017” shipment is now going to be delayed at least 5-6 more months. Now, I fall on the side of getting things right, but really? In the end – if a Spinn machine ever materializes – it’s going to be more than a year after I ordered it. Meanwhile, I’ve already paid for the machine (like all of the other pre-orders), so Spinn’s got $400 of my money while I’m left hanging. I could get a Tesla faster than this. Needless to say, I’ll be very, very excited once my Spinn finally arrives. It’s also going to have to go above and beyond the hype, given the hassle. Until then, hopefully my Black and Decker keeps chugging away.